Overinflating an X-Factor franchise into the original team under Cyclops or the government sponsored team under Havok seems like it would simply be another superhero movie — something the current audience seems to have little patience for. It also hints at why you need an X-Factor movie that plays to the strengths of the more recent series. Deadpool broke formula. It also played up the comedic aspects of the franchise, lovingly lampooning it. A more PG-13 take on the franchise could inject humor into a ragtag not-quite-heroic team movie. Think of it: Sam Rockwell as Multiple Man, implied to be a former Xavier student for the purposes of tying it to the franchise. A small ragtag team acting like semi-professional sleuths. Strong Guy as the muscle. Monet as the powerhouse. Wolfsbane as the wild card. A few on-call cameos. Make the team a bit of an annoyance to the X-Men: a for-profit enterprise with Sam Rockwell at the core of a not-quite-sleazy team of not-quite-superheroes. It’s not the dark black-ops of X-Force. It’s tongue-in-cheek neo-noir with the chance to create a unique X-Men vision. The key to this all is Sam Rockwell playing a perfect Multiple Man: smart, capable, slightly shady, definitely loaded with a slightly sarcastic humor. There are plenty of ways to springboard this. Put Lila Cheney in Supernova, make Strong Guy her bodyguard. They end up back on Earth, and he’s now un- (or under-) employed until getting a job offer from Madrox to join a detective agency. Make Wolfsbane an X-Force member that defects, finding a renewed purpose with a former colleague: Madrox. Or pull her out of the New Mutants movie and into the fold of X-Factor. A role like Colossus in Deadpool could firmly tie it into the franchise. Beast presenting a cease-and-desist order alongside Evangeline Whedon serving as council. Cyclops finding a hint that Havok is alive, providing a McGuffin for the movie to follow in its noir plot. Xavier reluctantly coming forward with a case of someone going underground. Even Madrox in the midst of an X-Factor shoot out with an “Ok, here’s how I got here …” and then any of the above. This could also work as a TV series. Sam Rockwell has, indeed, done TV work. It could work on FXX, where ribald shows like It’s Always Sunny in Philadelphia reign supreme, and it could be a counterweight to Legion and its surreal flourishes. It could connect directly to the as-yet-unnamed mutant on the run series. There are plenty of ways to do it. But regardless, what we may need is a not-quite-black-comedy that injects a little fun into an almost-too-self-serious series. If X-Force goes pitch-black like recent iterations, it may test the what the audience really wants (which may not be a bonanza of Zac Snyder-like movies. 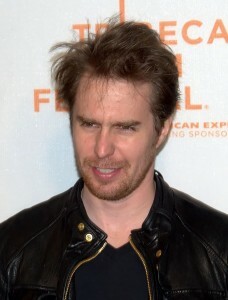 Also it needs Sam Rockwell. I vote for a series. That detective agency run was made for a tv series adaptation. I love Madrox, I don’t care for Sam Rockwell, but I don’t want my pickiness to get in the way of this happening. You have my vote. I’ve also thought the X-Factor detective agency thing had possibilities as a TV show, but I’ll take a movie. I don’t know if Sam Rockwell could pull the character off, but I’m not sure he couldn’t.